Provenance: Bequest of Dorothy Duesenberg Cassady; Indianapolis Museum of Art (gift of the former, circa 1997, accession no. 1997.68); Christie's New York, Rockefeller Center, 12/13/2017, lot 337. 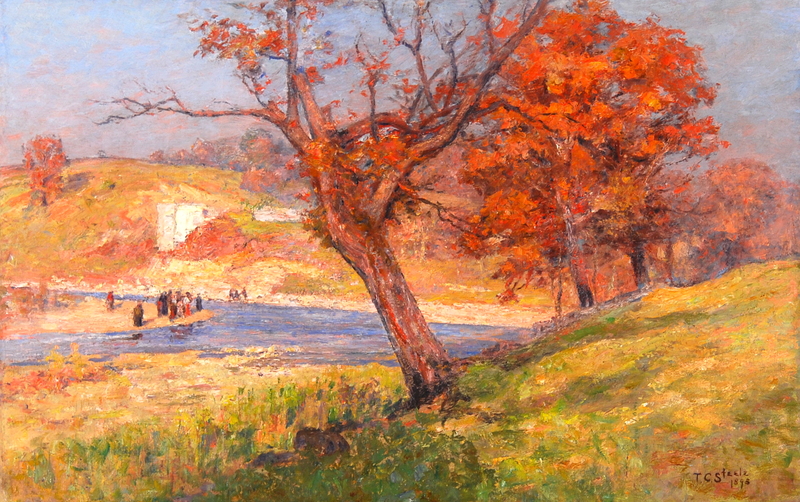 Exhibited: Indianapolis Studio Exhibit, "Old Vernon, Hill and Stream," November 23–27, 1893.